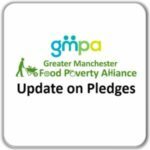 Following a successful launch and empowerment evening, the real work of the Greater Manchester Food Poverty Alliance has begun. 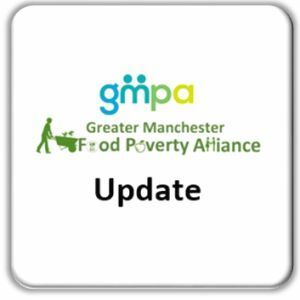 The work of the Alliance is now being coordinated across several subgroups who will co-produce a Food Poverty Action Plan for Greater Manchester. 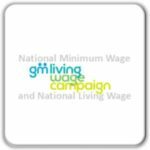 The Action Plan, to be launched early next year, will be co-produced by people from each borough of Greater Manchester, including experts by experience – people who have lived experience of food poverty. It will set ambitious but achievable aims for Greater Manchester to tackle food poverty, and a clear set of actions needed to achieve these aims. As we identify people and organisations whose support will be needed, we will ask them to work with us now in developing solutions, rather than simply presenting a set of actions to them at the end of the year. Six themed sub-groups have been tasked with developing their own sections of the Plan – this table shows some of the themes that they will cover, and information on how to get involved. Everyone who receives this newsletter will be welcome to any or all of these meetings, even if you are not on the Alliance or sub-group’s mailing list, but please do email the chairperson(s), copying in GMPA at food@gmpovertyaction.org so they know to expect you, and so they can include you in future communications. There is also the Driver Group which coordinates the process, the Reference Group for people in positions of power and influence who can help to address any issues that the sub-groups identify, and the Diversity Group, which will advise the other sub-groups about how to address food poverty for everyone (please email Atiha Chaudry, to join this group). It is clear that there is a great appetite for action on hunger, so please join us in this coordinated and strategic work to tackle food poverty together. 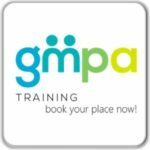 The Greater Manchester Food Poverty Alliance is hosted by GMPA. 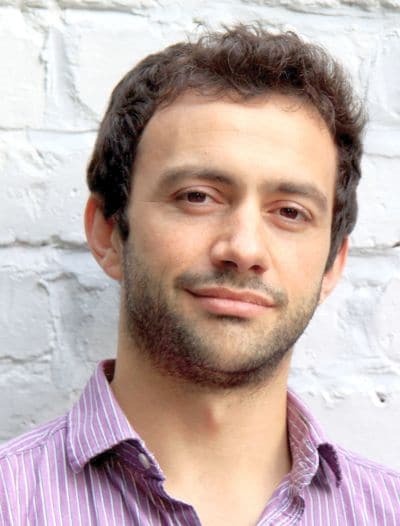 The project will develop a Food Poverty Strategy for Greater Manchester which will be published early next year.